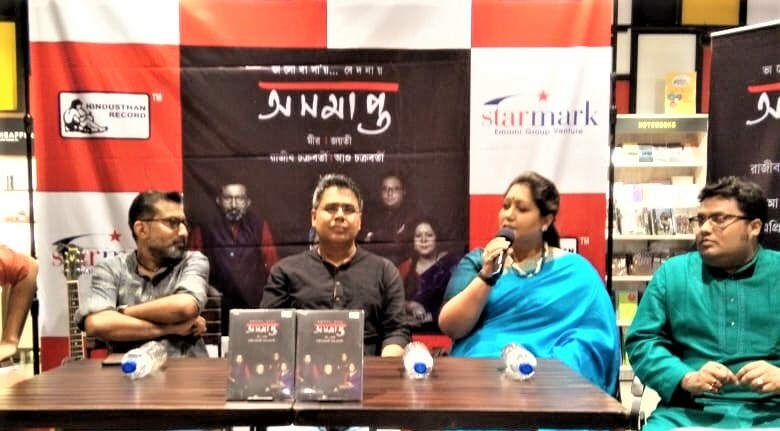 Kolkata, April 12, 2019: Starmark, in association with Hindustan Records, hosted the release of the Bengali audio CD AWSHOMAPTO – THE INFINITE LOVE at its South City Mall bookstore here today. Present at launch were Jayati Chakraborty, Ashu Chakraborty, Rajib Chakraborty and Mir who all played important roles in the conception and production of the CD. Shakespeare once said – my bounty is as boundless as the sea, My love as deep; the more I give to thee, The more I have, for both are infinite. Awshomapto is a homage to unfinished, infinite, love stories, where two souls meet in the real world, fall in love, and embark on a journey together – forever – and ever. Neither the surroundings, nor time can separate them from each other.  In Awshomapto, an author falls in love with a girl at a very young age. They meet, they come together, get married and live life happily. After a decade, the lady starts suffering from a catastrophic disease – death is inevitable. But the man still loves him and imagines that they still are together, and they still meet in love and in tenderness. Here the central character basically goes through the six different stages of love – all human experiences in its life span. Remembering his beloved, he is telling the story to us. The concept and music direction of this album is by Ashu Chakraborty, and the story has been developed by Rajib Chakraborty. Mir is featured as the central character of the story, doing the narration as the author. The story is connected with six Tagore songs sung by Jayati Chakraborty. As Rumi said – Out beyond ideas of wrongdoing and right doing there is a field. I’ll meet you there. The conversation goes on …. and on…….. remains AWSHOMAPTO – THE INFINITE LOVE.